While Christmas Day is over, I say let the Christmas season continue (not just because I have more cards to show - but that is certainly an added reason). 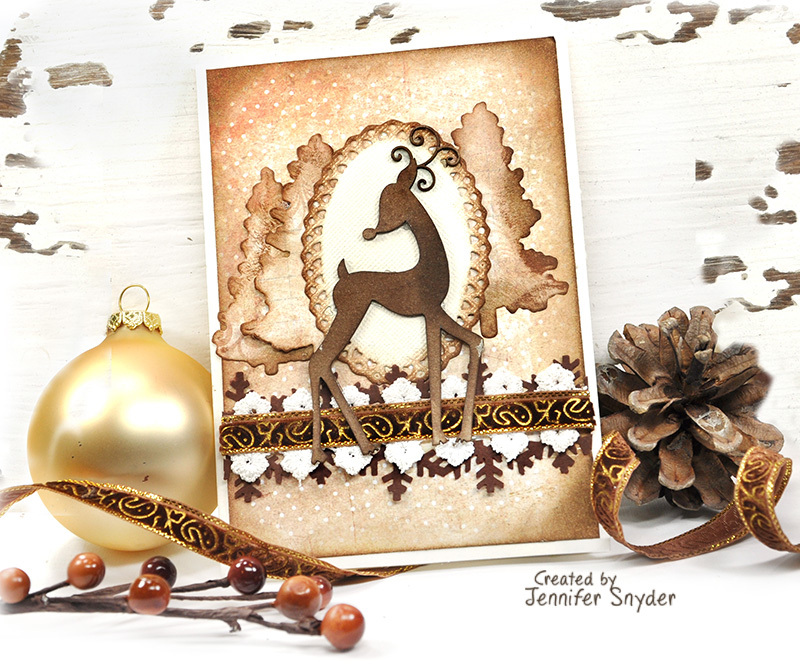 Here is a card created using the JustRite dis and stamps to show their beauty and versatility as all-purpose products that can be adapted for the Christmas season. 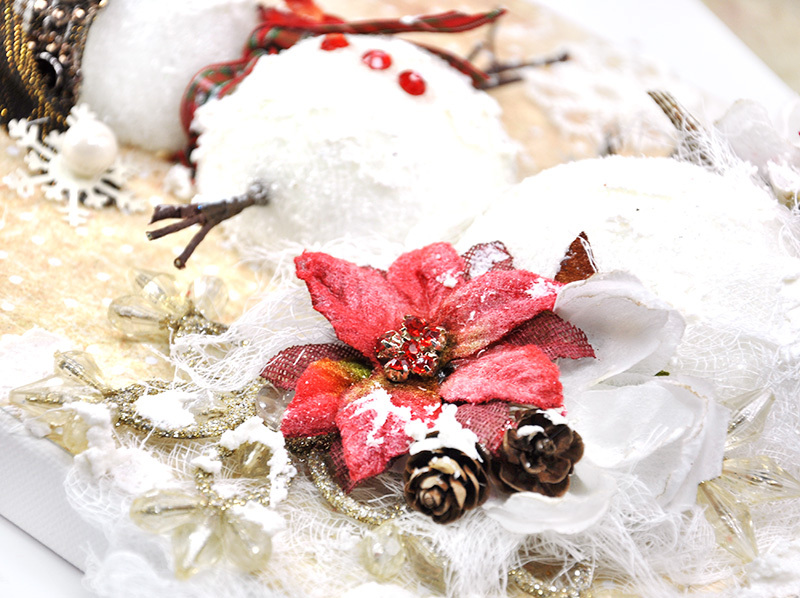 May you find your Holiday Season to be filled with joy and peace and most of all, good health. This is the last set of projects I worked on for the Flying Unicorns. This is Part 2 of 2. You will find Part 1 on my blog right here. The set was intended to be a bundle for sale at the Flying Unicorns. While no longer for sale, I still decided to show my projects. I worked too long on them to not share. And I think they are lovely. 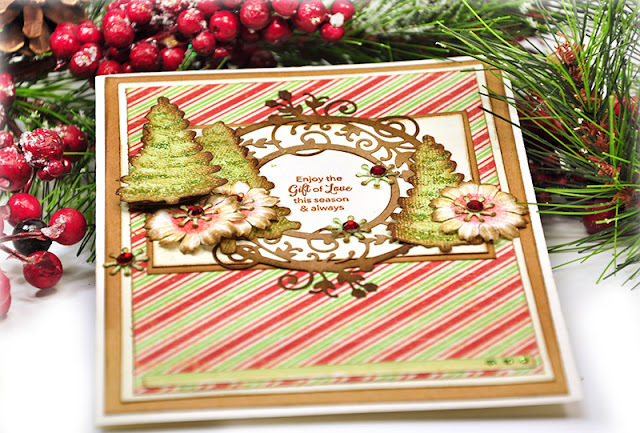 I do have some DIY tips and I do show the basics on how I created these cards, but not the step-by-step in it's entirety. 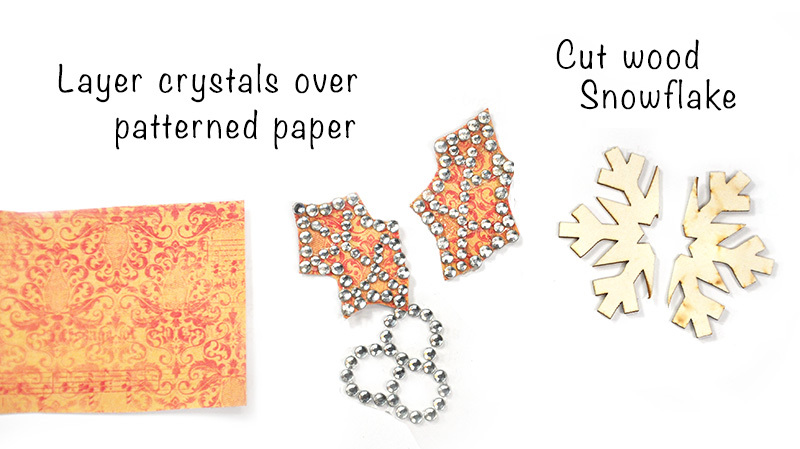 These are pretty easy cards and I think the tips are really all one needs to get the gist. I am sad to see it be done and yet joyful for the experience and the magical carpet ride the Unicorns and owner, Alda Stevens , provided me over the last few years. Certainly years of growth and stretching. Alda Stevens passed away in the beginning of December. Her departure from this world leaves a void in the crafting world and in my heart and in many hearts. May Alda Stevens and her sparkly pink Unicorn rest peacefully forevermore. 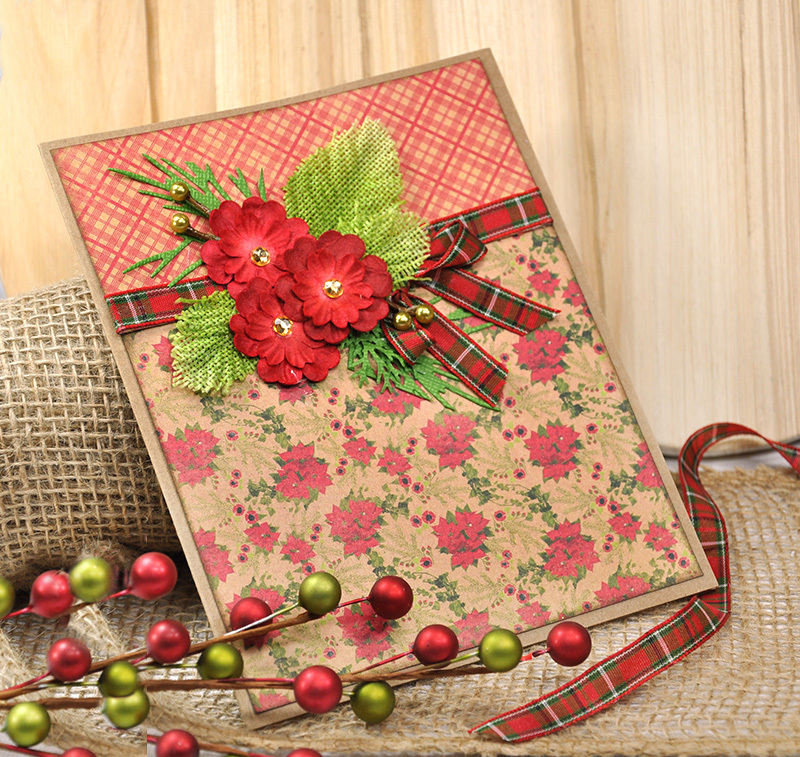 The last card sample for this Authentique Tidings bundle is a beautiful poinsettia card. Scroll down for the base layout of the card. The embellishments on the card are pretty easy to replicate. This is the base of the card. 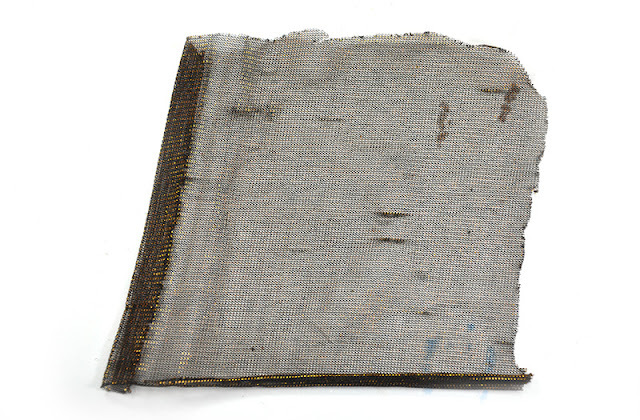 A few layers separated by a strip of ribbon. There's not a lot to this card, but I thought I'd share the "guts" of the project to see how the base is created. 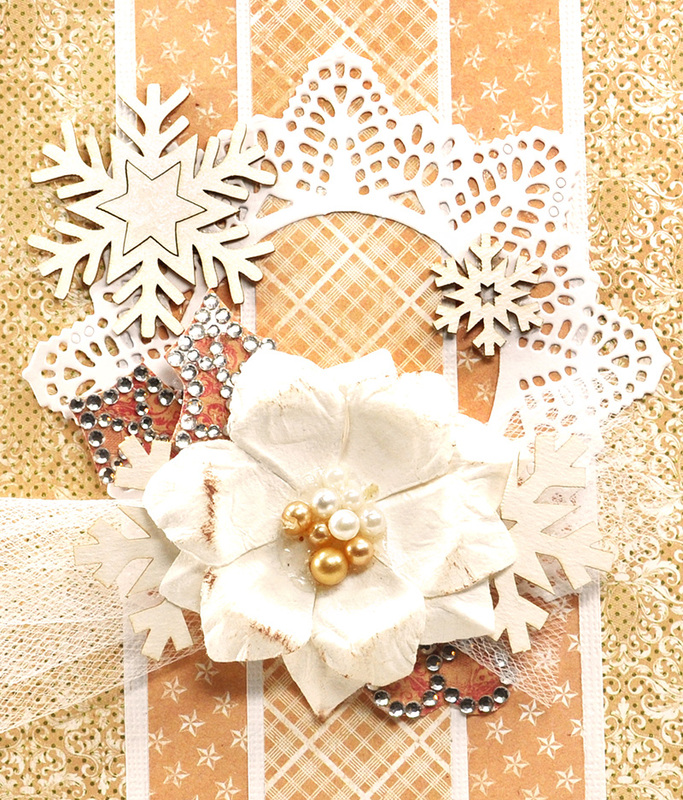 I like cutting the center from the doily to create a wreath-like effect. Time to embellish and I decided that I'd add my own twists to the embellies I had planned on using. The crystal holly leaves (Kaiserkraft Holly Silver Self Adhesive Rhinestone Holly) were great to add on top of darker paper. Use the custom adapted embellishments to enrich the floral cluster. 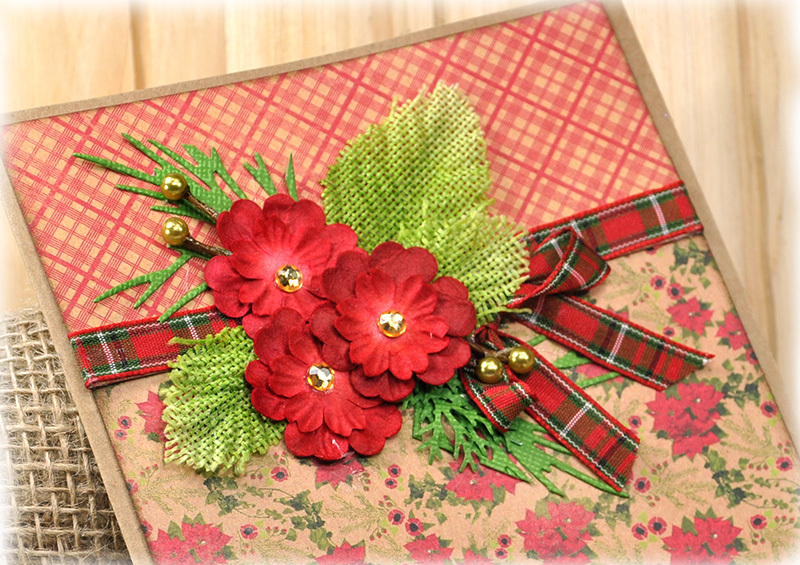 And here is the resulting wreath on the card. 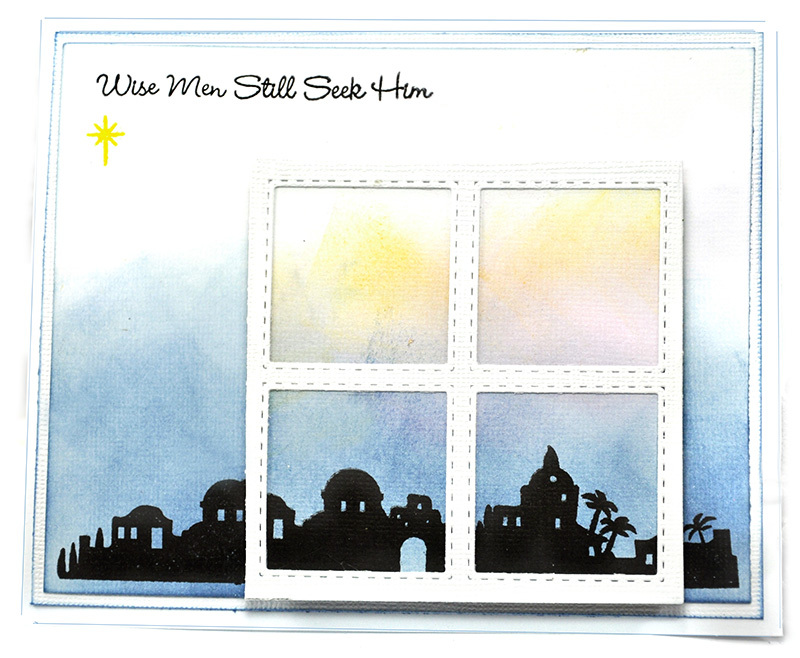 Wishing your family a very Merry Christmas - and using JustRite stamps to help me. 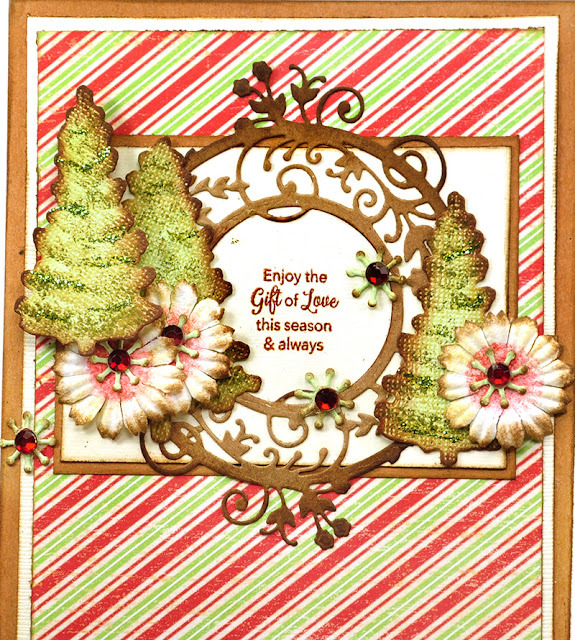 Here is a card I made for Christmas using JustRite dies and stamps. 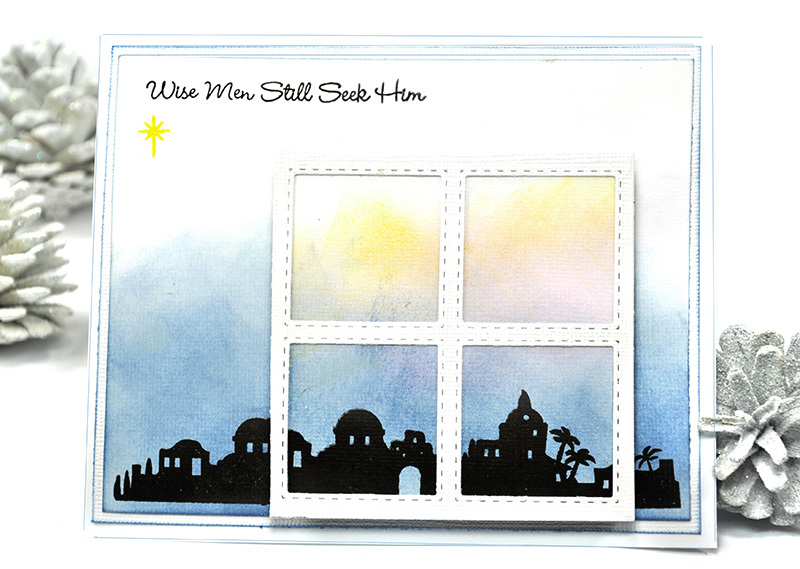 The Bethlehem stamp is JustRite Nativity Sentiment Clear Stamp. 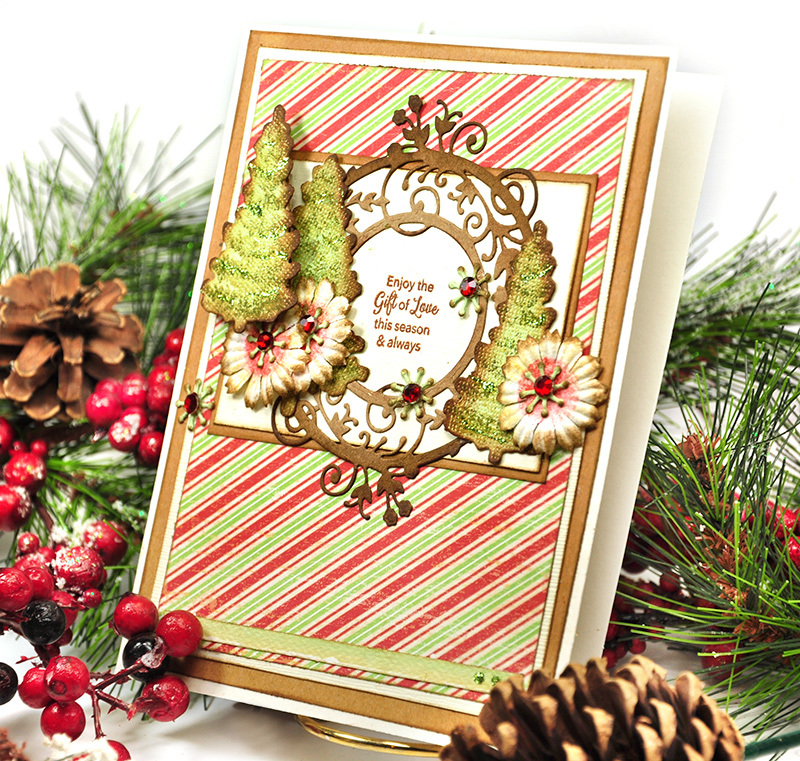 It's bold and perfect for a quick card. 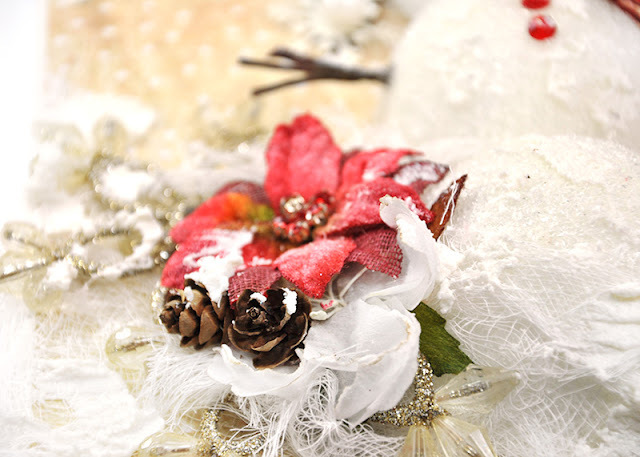 I'm here here today continuing the holiday and Christmas festivities right up to the last moment. Need to whip up a last minute gift? This is super easy and one of those projects that looks like it took forever in "fussy land" to create. Let that just be our little secret. 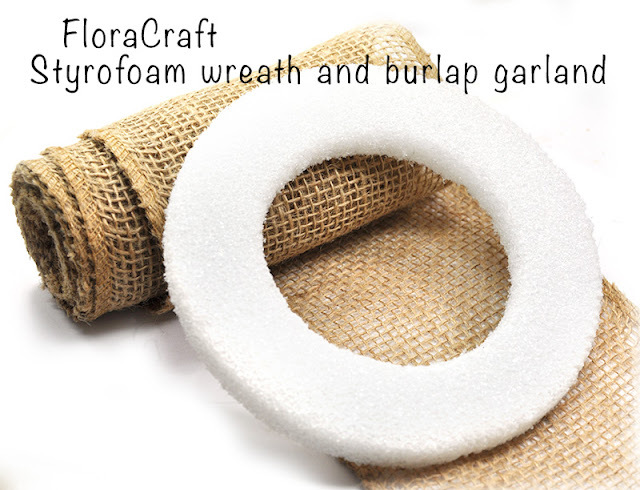 Scroll down and see my DIY instructions on how to turn Floracraft products , a FloraCraft Styrofoam Wreath and some gorgeous Petaloo flowers into fun, fast, fab home decor. Step 1. 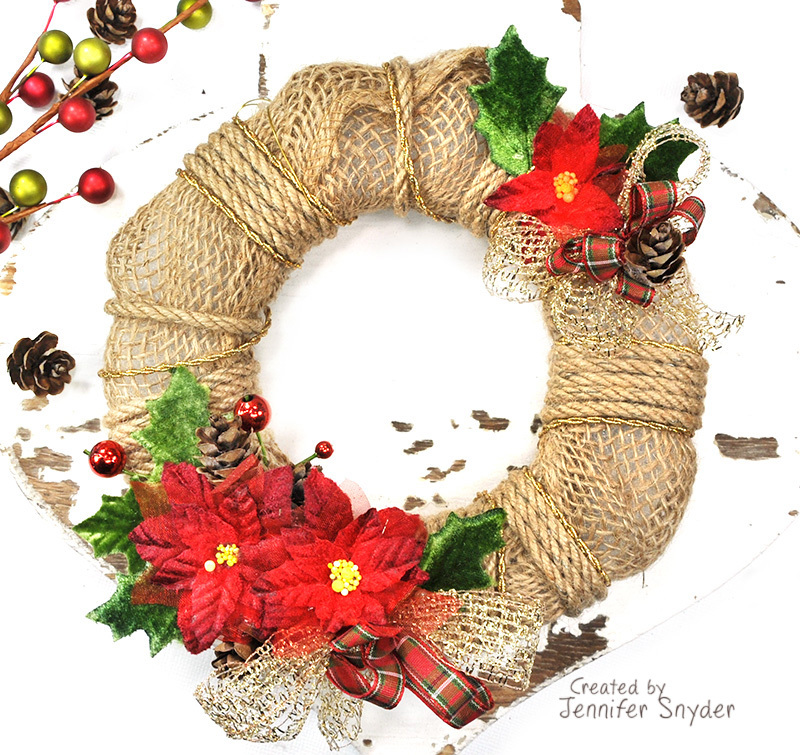 I started the project with some fun products from FloraCraft - specifically FloraCraft Burlap Garland (which is a "must have" staple in my craft room) and a FloraCraft 6" Styrofoam Wreath . Step 2. 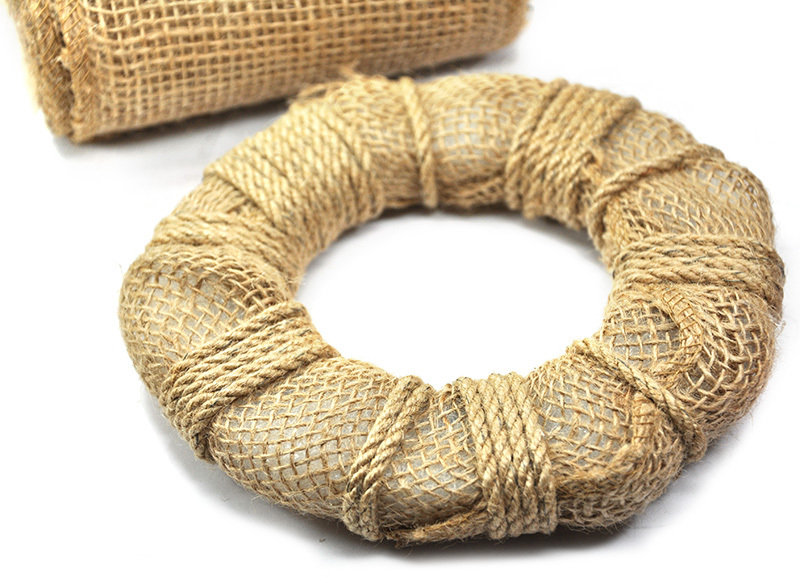 I wrapped the foam with the burlap garland and secured it with hemp cording. 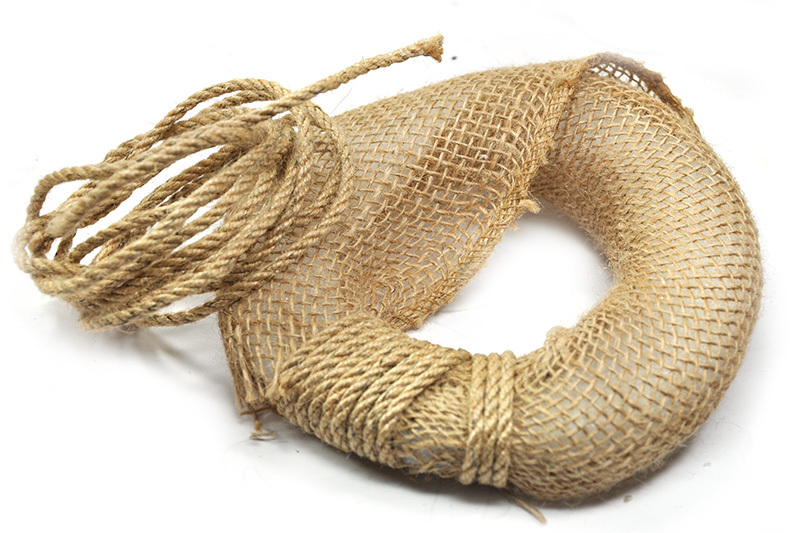 Adding the cording was a second thought actually after the project was well underway. I realized that glue and straight pins were not going to keep my burlap in place so I decided to wrap the wreath in cording. Step 3. This is how it turned out before I started to embellish. Step 4. Embellish with your choice of gorgeous Petaloo flowers. 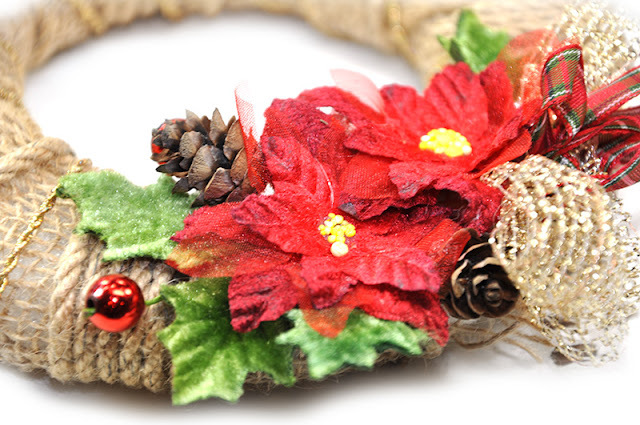 While I chose Christmas themed embellishments (because I needed a gift), imagine how gorgeous this would look with flowers for any occasion or any season. Give it a nautical look with some red glitter star picks, white ruffled roses and blue velvet hydrangea accents...or a beautiful spring feel with purple canvas flowers dotted with yellow roses. 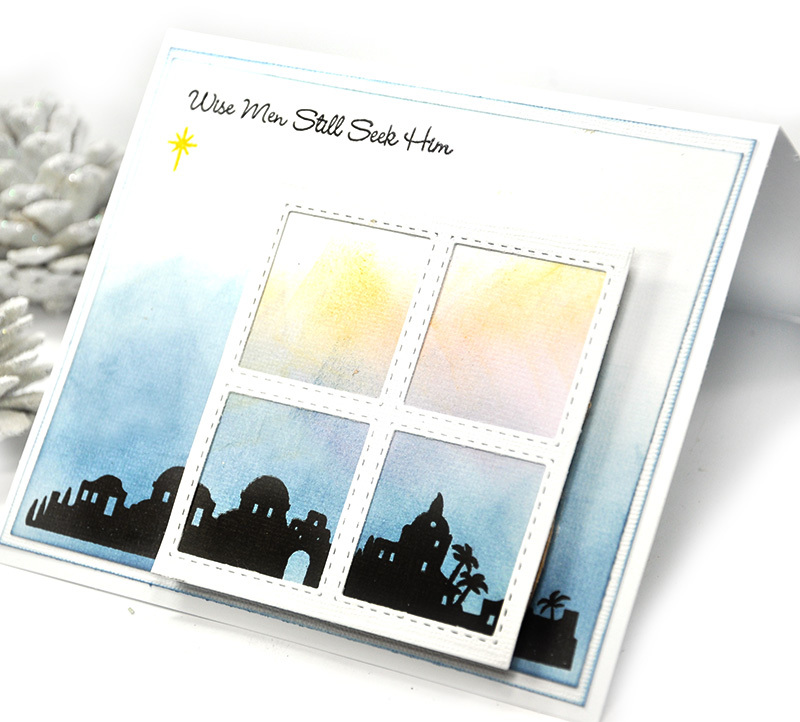 Thanks for stopping here and have a wonderful Christmas and Holiday season. I'm here to add my brand of creative joy to the Christmas and winter season. 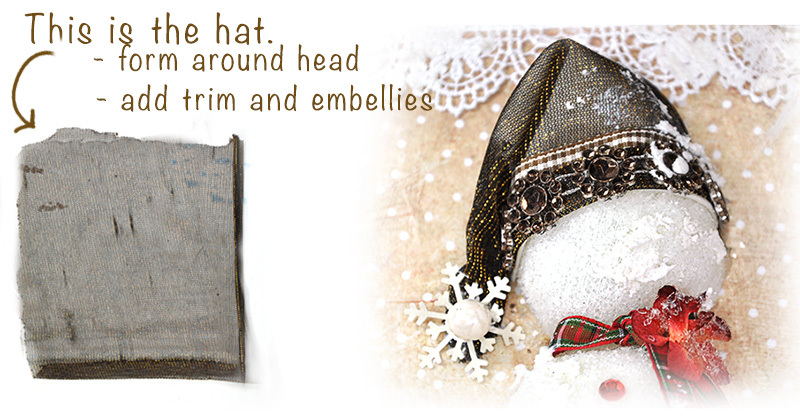 This creation does come with a little story about one of my favorite Holiday and winter traditions. 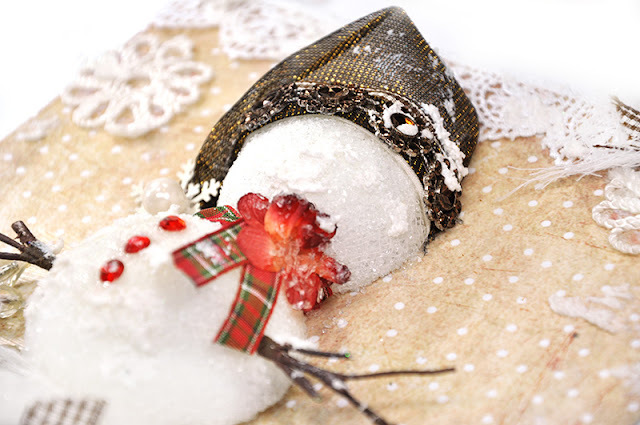 In my mind, the point of rolling the biggest frostiest snowman was to let the neighbors and passers-by know we've conquered the snow and crafted a masterpiece - bedecked in hat, scarf and carrot nose. Of course the snowman would make his home in the yard till the snow melted. In reality, I'd run turn my back for a moment to grab the camera and the boys would be knocking the snowman down. For them, the fun was in crushing him flat. The results were always the same. 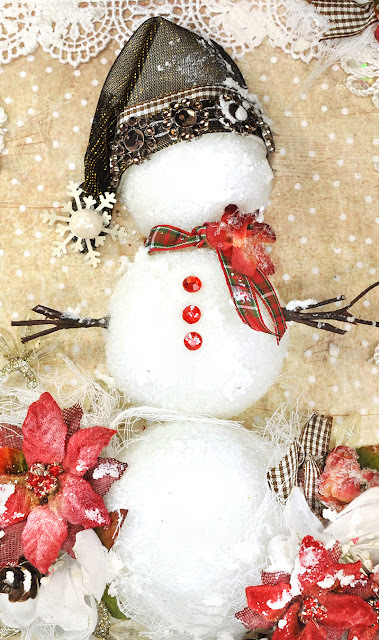 Today, however, I get to show you how my snowman would have looked standing proud in my yard - at least in my imagination. 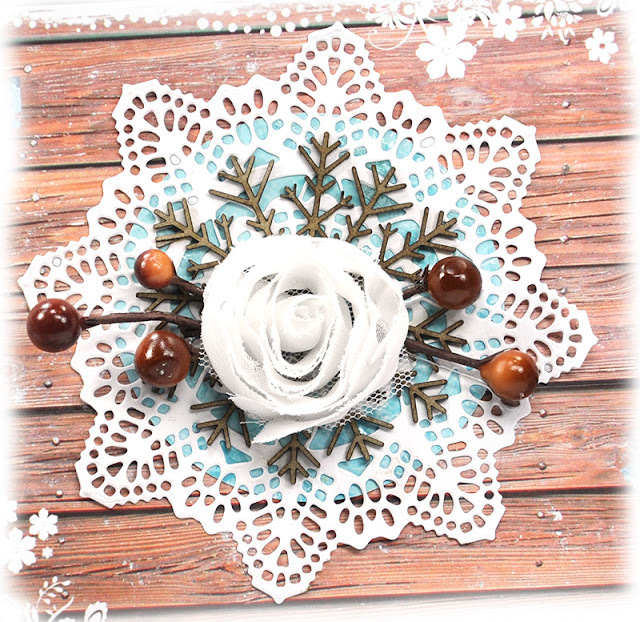 With a little help from some fun Floracraft products, FloraCraft Styrofoam balls and Petaloo Flowers, I can totally enjoy the season and let my imagination live long past the thaw. If you scroll down, I'll show you how I created this canvas. Why don't I show you how I made this canvas. Step 1. As I mentioned, I used an 8x10 canvas as a base. I grabbed a piece of paper from LemonCraft that reminded me of snow falling, and covered the canvas. 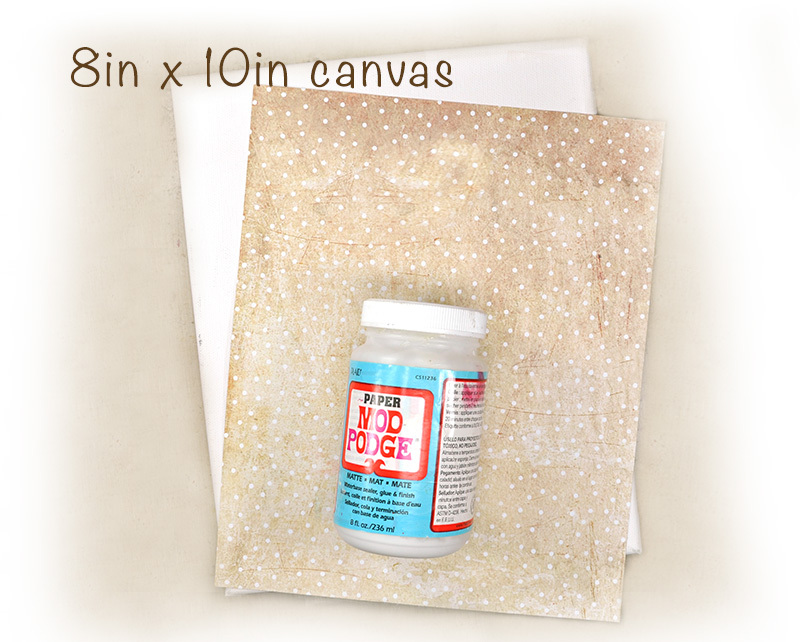 When I use paper on canvas, I like to adhere the paper to the canvas using the appropriate medium - not just glue. I used matte finish ModPodge. 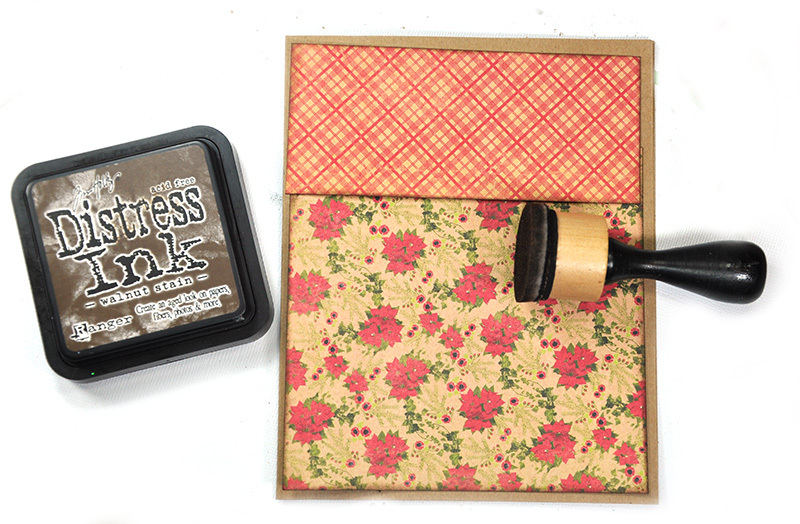 Other options include: matte gel medium, white school glue thinned with water. Which ever medium you choose, paint it generously onto the canvas and the paper and let dry. Why do I prefer to coat my paper? It protects the edges of paper from rips and tears and warping over time. It also protects from dust. 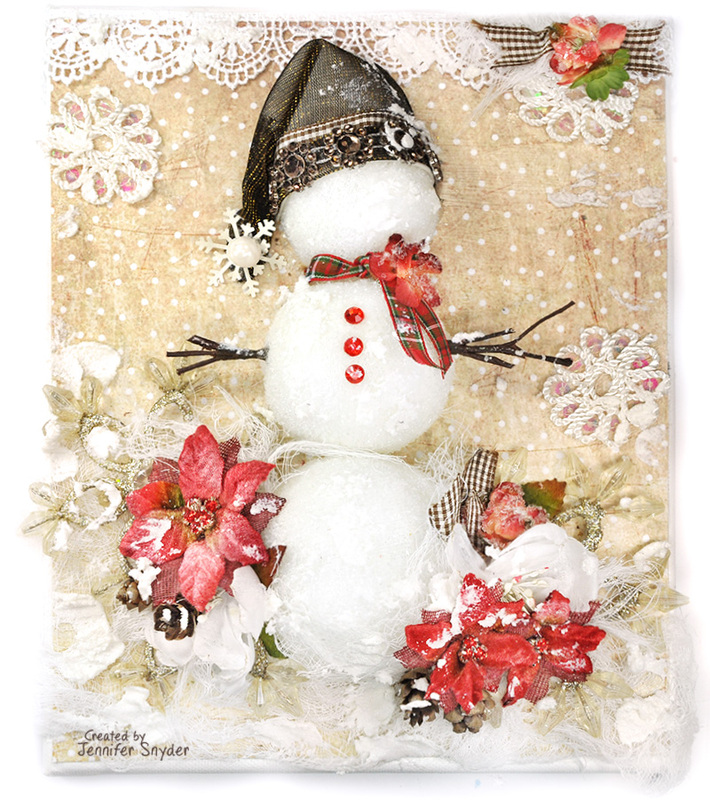 When it comes time to adhere the snowman to the canvas, I feel the coated paper will be a better base and will support the weight of the snowman without ripping the paper. Step 2. 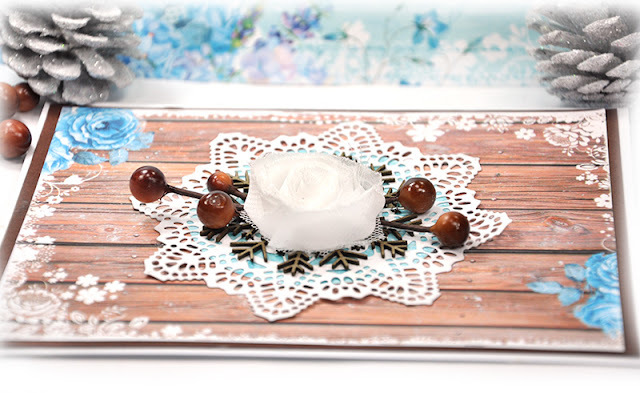 This project utilized the foam balls from the Floracraft multipack. I cut the balls in half using my scissors. In previous projects, I used my kitchen knife. When I mentioned to my husband that I was heading to my craft room for some styrofoam fun, he ran and hid the kitchen knives. True story. 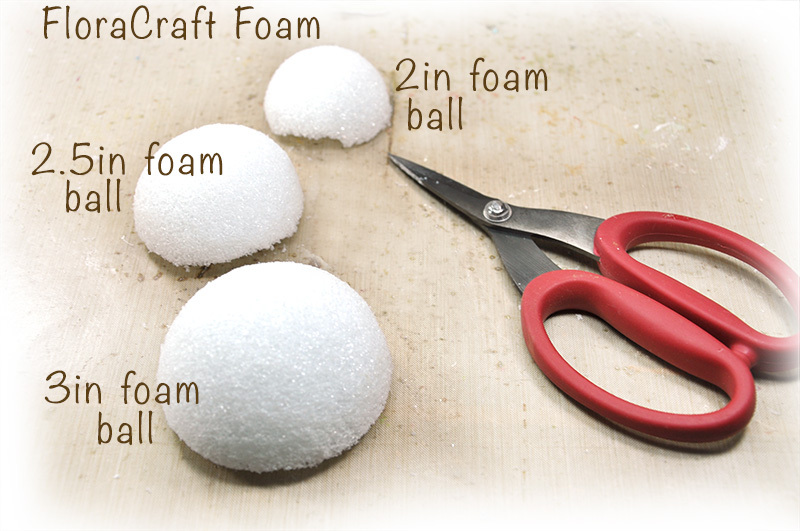 No worries - I have a super easy alternative to cutting the foam. 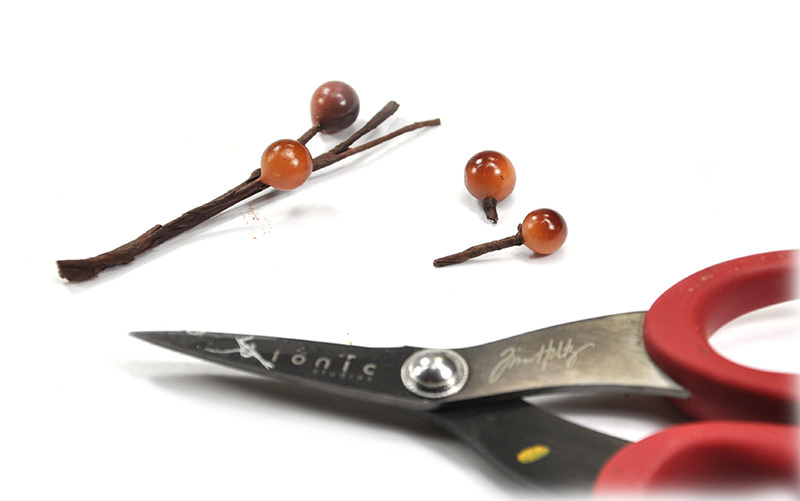 I used my scissors like a knife and scored the middle of each ball - making sure I scored all the way around. After each ball was scored, I twisted the foam balls apart. Easy! Step 3. I covered each ball with cheesecloth . 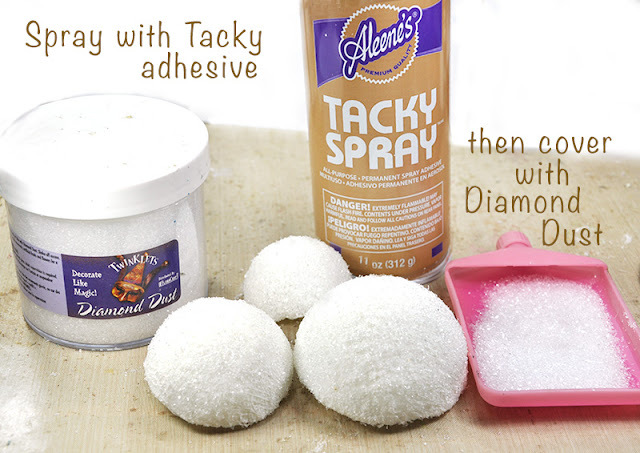 To do this, I dabbed a generous amount of ModPodge (or whatever medium you are using) onto the foam. Once the foam is covered, I then dabbed more Modpodge over the cheesecloth. Gobs of it, actually. 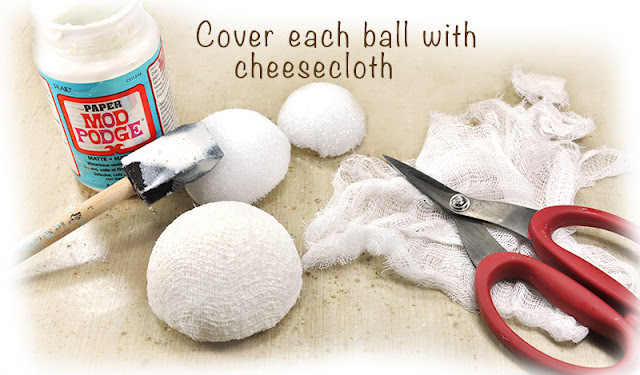 The key is to make sure you do not have a lot of excess cheesecloth on the back of the foam. 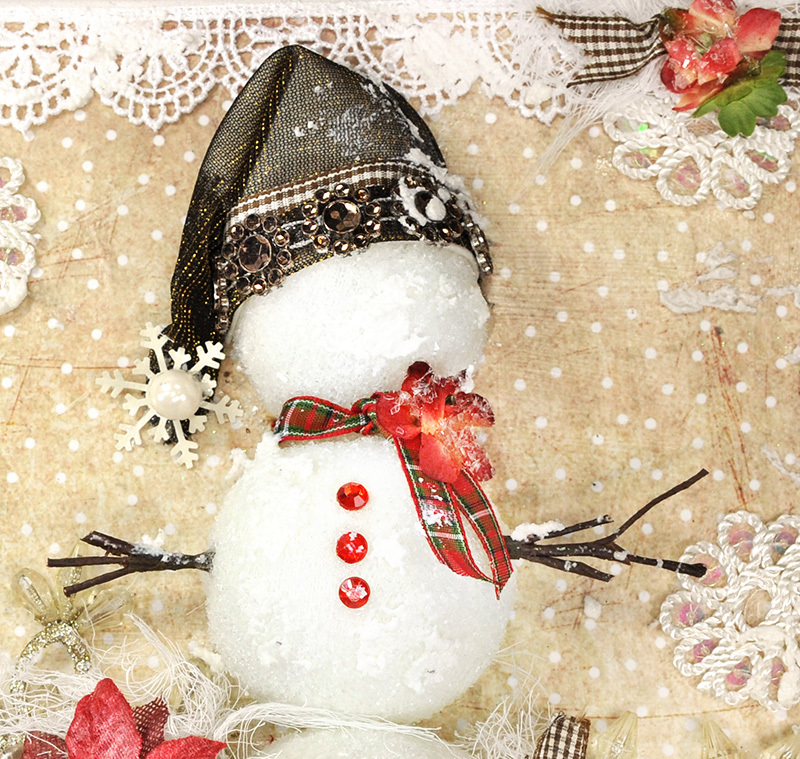 It needs to lie flat on to canvas and excess cheesecloth could cause snowman chaos. Why did I cover the foam with cheesecloth? Great question. So glad you asked. I certainly could have left the foam uncovered on my canvas. It's white and looks like a snowball...but I'm trying to think long term. Seasonal storage may not be particularly kind to raw Styrofoam from year to year. I do not want to risk little pieces being picked off and having dents in my foam. 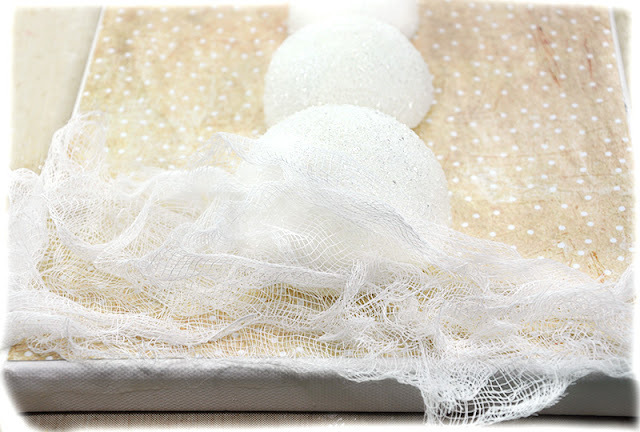 The cheesecloth will protect the ball, and still preserve the look of snow. Step 4. I also wanted to capture the sparkle of fresh fallen snow ( I live in NY so I know all too well what fresh fallen snow looks like...piles of fresh fallen snow). I sprayed the balls generously with Tacky Spray and rolled the sticky ball in Diamond Dust by Floracraft. Oh my goodness - it is absolutely perfect. I can't capture with the effect adequately with my camera but it is brilliant. Incidentally, I sprayed some matte urethane over the ball after it was dry to keep the Diamond Dust from getting all over. The Urethane did dull the sparkle a bit, but the effect is still amazing and looks so much like a snow ball. Step 5. From here, I am ready to decorate the canvas and create a snowy landscape with draped cheesecloth. Step 6. Snowman Arms - Ahhhh what to use for the snowman's arms. 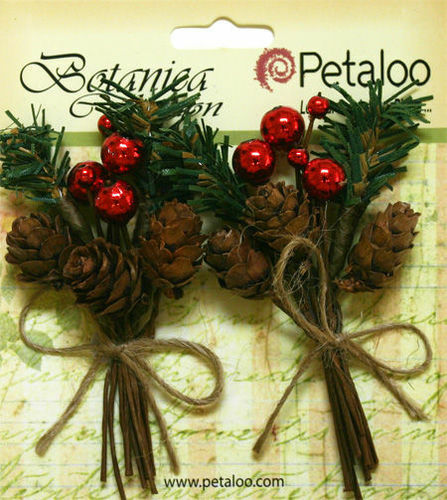 Well, I had some older Brown Berry Sprays from Petaloo. I cut off the berries and set aside for a different day. Look how cool the remaining branch is? And the wire on the branch can be used to stick right into the foam. Step 7. Snowman hat - I had to create a custom hat for my snowman. I cut a piece of fabric that was pretty thin - this is almost like mesh. It bends and forms easily. I molded it to my snowman's head and held in place with straight pins till I had the shape I wanted. Step 8. 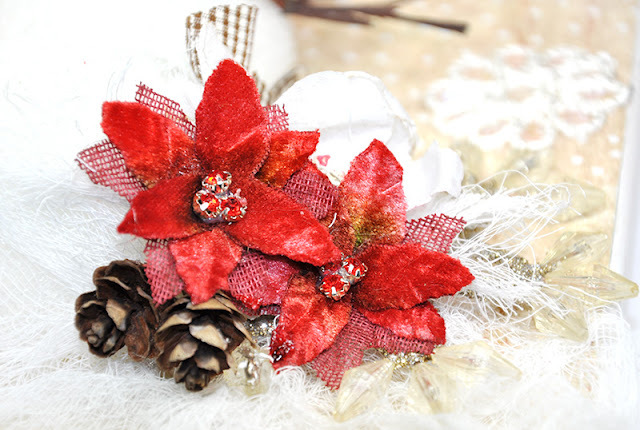 Continue to embellish with Petaloo's gorgeous flowers. I used Petaloo Botanica Sugared Mini-Burgundy , Petaloo Botanica Blooms White 1102100 some older Poinsettias in Red Vintage Velvet Poinsettias 1137005 mixed with Petaloo Botanica Regal Gold RS5010-002/4 and Petaloo Pine Pick with Cones. 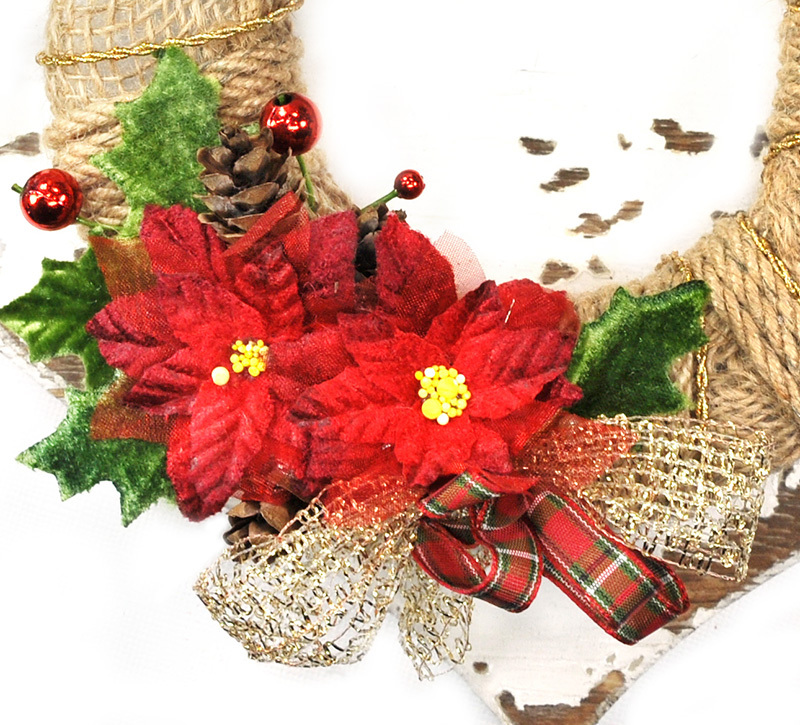 I pulled apart the pine-cones from the pick and added them here and there as wonderful seasonal accents. 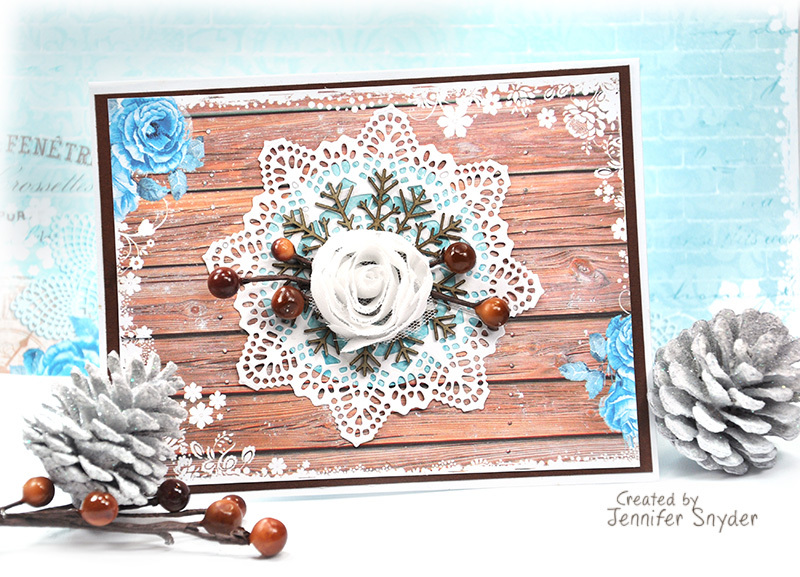 After the creation was completed, I dabbed snowflake paste around the canvas for a frosty look. 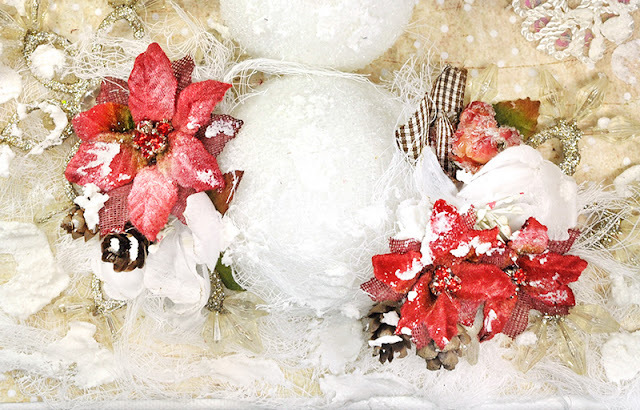 I hope you enjoy the entire holiday season with friends, family - surrounded in love and joy. Hello, I'm here today for my last post with LemonCraft. 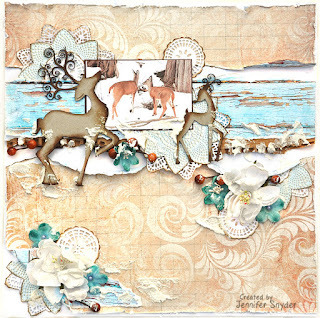 Thanks for this wonderful opportunity to create with such gorgeous papers. My last post is a two part post with the first post as a tutorial featuring the new Gossamer Blue collection. The second post is a set of cards also created using the Gossamer Blue collection - for Christmas and everyday - to show the versatility of the collection. This is LemonCraft - Part 2 - Cards. You can find Part 1. here. 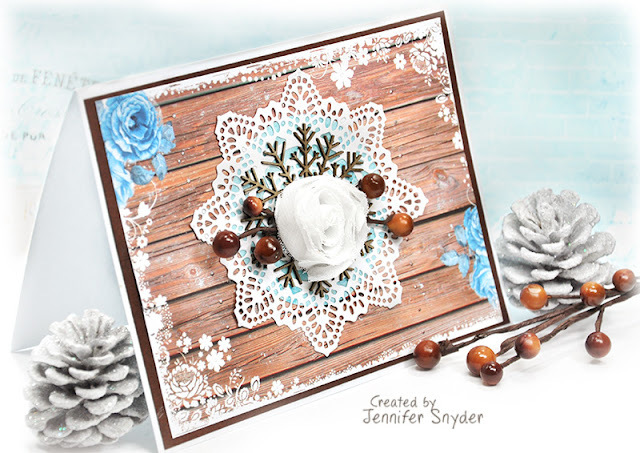 This is a winter layout with full DIY instructions. You can see that post here. It is also available in my ETSY shop. This page is also available in my ETSY shop while it lasts. You can find it here. 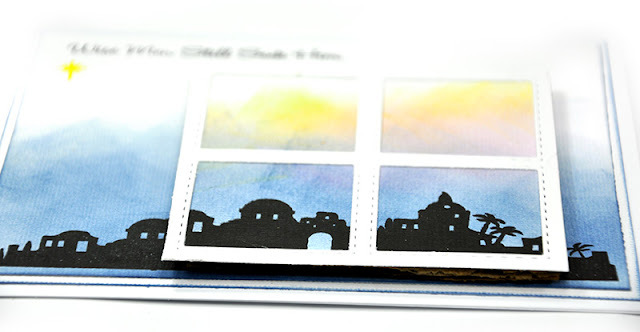 Here are some cards that I created with the LemonCraft Gossamer Blue 6x6 paper pad. I made some Christmas cards and one everyday greeting card tpo show how versatile this collection is. 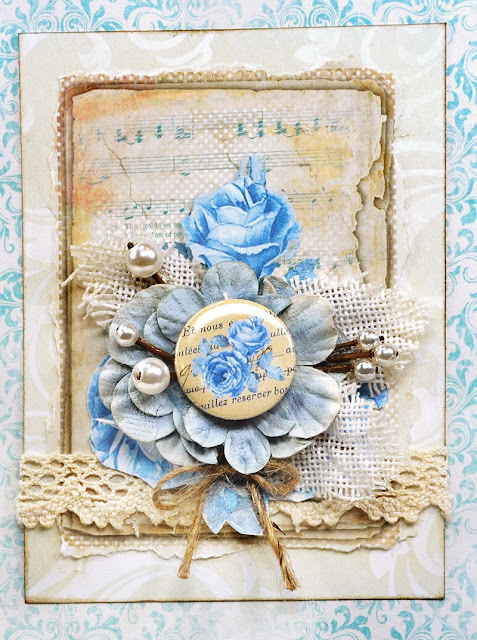 I have a few other products incorporated into this page - chipboards from 2Crafty, flowers from Petaloo and a die from Prima. 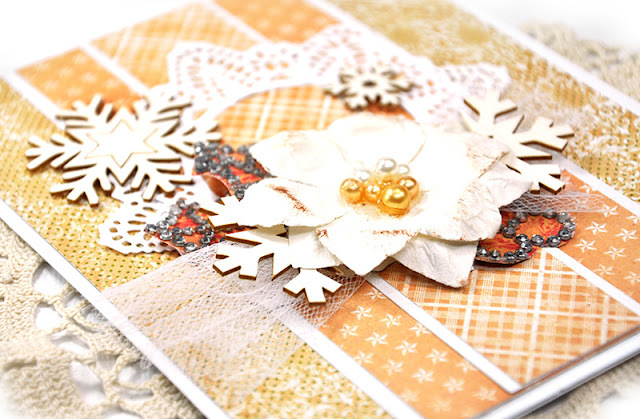 The snowflake is a chipboard piece from 2Crafty called "Fine Snowflakes" m00102. 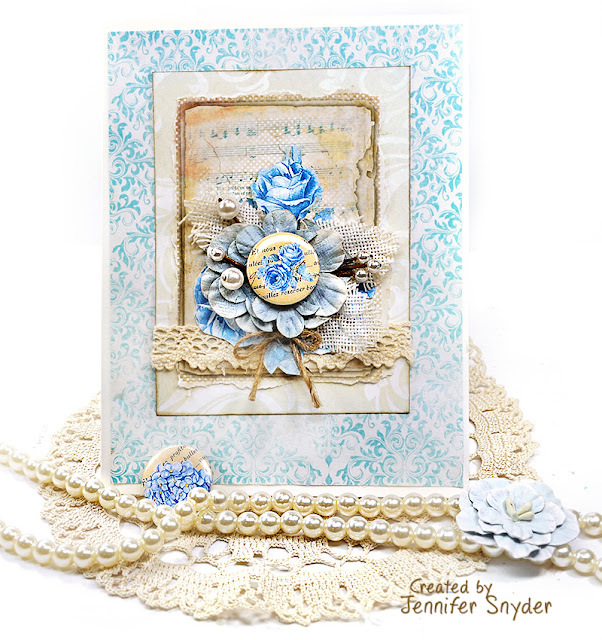 Here is another card using the 6x6 paper and the beautiful Gossamer Blue paper as well as Lemoncraft Gossamer Blue Ribbons. 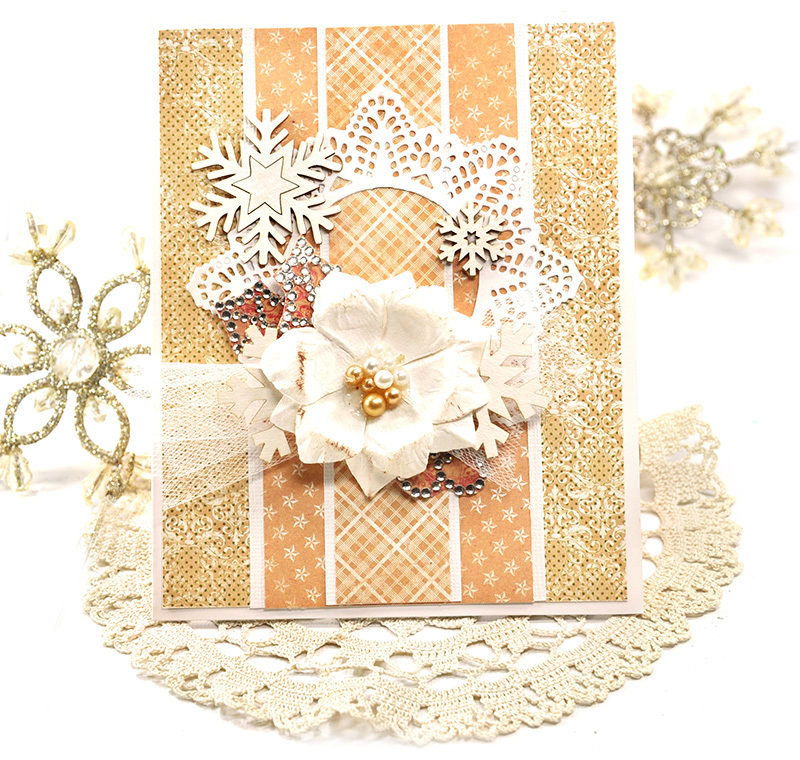 I added some beautiful brown ribbon from Lemoncraft for accent. 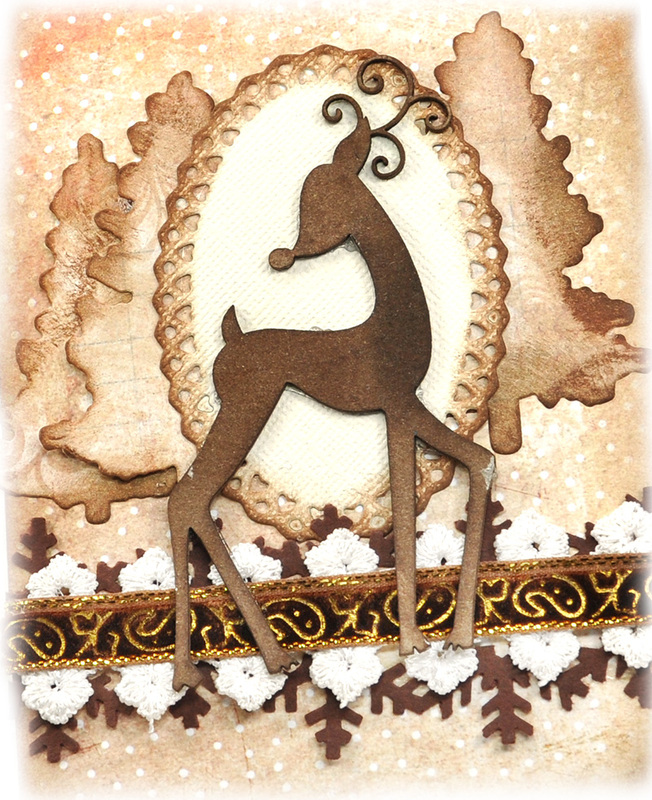 I used chipboard deer from 2Crafty - Young Reindeer and inked the chipboard with Walnut Stain, Distress ink. The chipboard deer is nestled atop a die from JustRite Papercrafts. 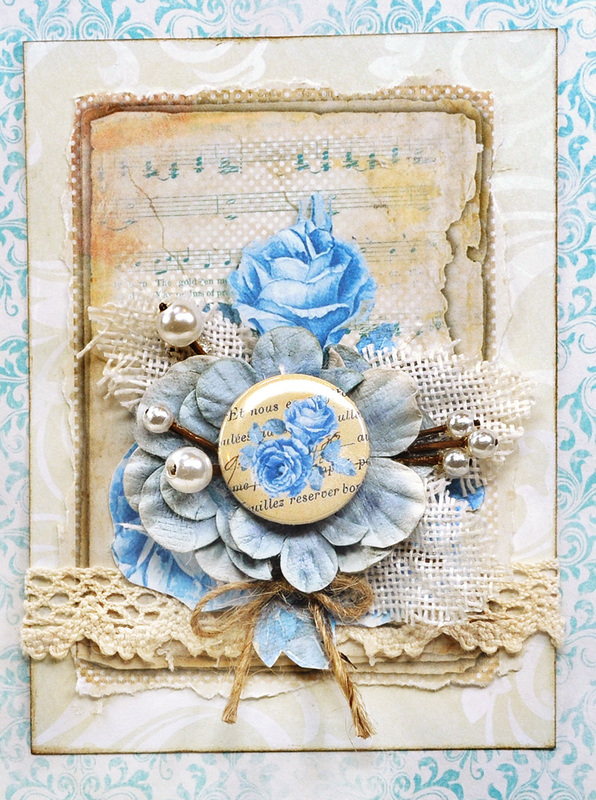 And the last card created using LemonCraft Gossamer Blue 6x6 paper along with the sweet Lemoncraft buttons from Gossamer Blue as well as the Lemoncraft Gossamer Blue Ribbons. 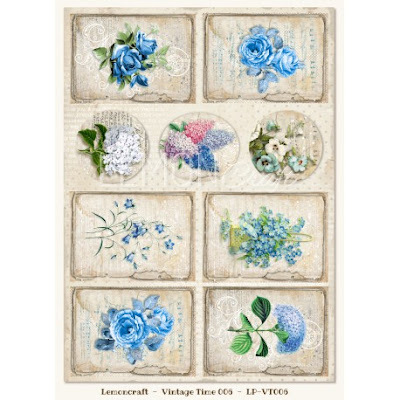 This card features Vintage Time 06 sheet from the collection, shown below. Isn't this simply wonderful? Thank you to Lemoncraft for providing me an opportunity to create with such gorgeous papers and embellishments. Merry Christmas to all and may you all have a wonderful 2017. 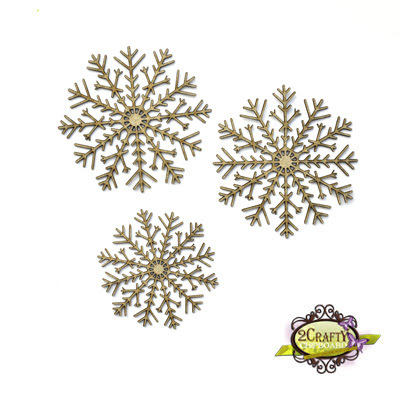 2Crafty called "Fine Snowflakes" m00102.